Dhiman Ghosh (born 23 November 1987) is a First class and List A cricketer from Bangladesh. He has played first cricket for Chittagong Division, making his debut in 2004/05, and represented Bangladesh through the age group levels. He played for Bangladesh A in 2003/04 and 2004/05 and appeared in Under 19 Tests and ODIs in 2004. A right-hand batsman and off-break bowler, he has scored 2 first class hundreds with knocks of 115 against Khulna Division and an even unbeaten hundred against Rajshahi Division. His best spell of bowling, 3 for 7, came against Barisal Division. Dhiman Ghosh risked his international career in 2008 when he signed for the Dhaka Warriors who participated in the Indian Cricket League because the league is an unsactioned tournament by the ICC the Bangladesh Cricket Board handed out bans to Ghosh and ten other Bangladeshi cricketers. However he severed his ties with the league making the hopes of an international career. 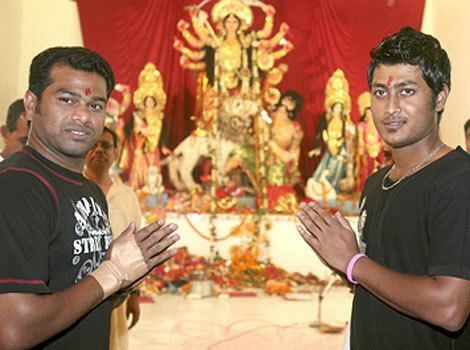 But the controversy turned ugly after the selectors didnt pick giving the reasons that he belonged to Hindu community. He caused major damage to his international career when he participated in the ICL as another wicket-keeper Mushfiqur Rahim had cemented his place in the team.